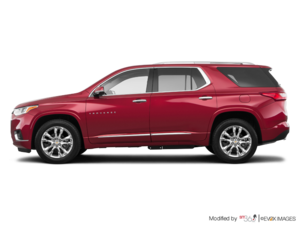 Home > News & Events > News > How Much Does the 2019 Chevy Traverse Cost in Canada? Please note that American to Canadian dollar conversions were made using Google. Canadian prices were rounded to the nearest $5 increment. All manufacturer’s suggested retail prices (MSRPs) are set by Chevrolet and General Motors. Taxes, titles, destination fees, and other applicable fees are not included. Pricing will increase when certain colours are chosen or optional exterior, interior, or mechanical features are added. Pricing may fluctuate during sales events hosted by Lanoue Chevrolet. All offers are subject to credit approval and drivers may be required to finance through the dealership and its partnering lenders. Find the 2019 Chevy Traverse at Lanoue Chevrolet! The 2019 edition of the Chevy Traverse is now available at our dealership, so come and visit us today to take it out for a test drive! We are located at 85 Mill Street West in Tilbury.